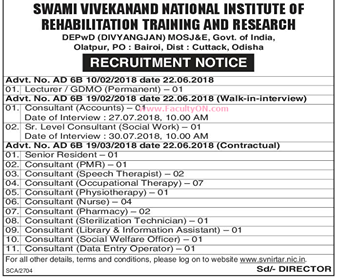 Swami Vivekanand National Institute of Rehabilitation Training and Research, Cuttack has advertised in SAMAJA newspaper for the recruitment of Senior Resident plus Consultant job vacancies. 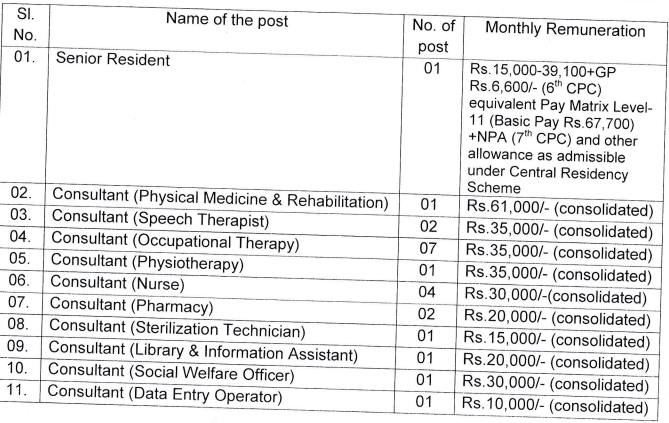 Interested and eligible job aspirants are requested to apply with in 30th July 2018. Check out further more details below. About College: Swami Vivekanand National Institute of Rehabilitation Training and Research (SVNIRTAR) is an Autonomous body under Department of Empowerment of Persons with Disabilities (DIVYANGJAN), Ministry of Social Justice and Empowerment, Govt. of India. It provides total medical rehabilitation for the Persons with Locomotor Disabilities.